Japan has done marvelous things with cinema, giving the world the likes of Kurosawa, Mizoguchi, and Ozu. But cinema did not arrive in Japan fully formed at the end of the nineteenth century, nor was it simply adopted into an ages-old culture. Aaron Gerow explores the processes by which film was defined, transformed, and adapted during its first three decades in Japan. He focuses in particular on how one trend in criticism, the 'Pure Film Movement', changed not only the way films were made, but also how they were conceived. 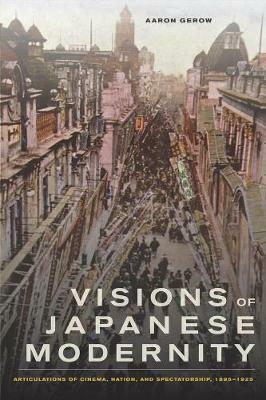 Looking closely at the work of critics, theorists, intellectuals, benshi artists, educators, police, and censors, Gerow finds that this trend established a way of thinking about cinema that would reign in Japan for much of the twentieth century.